One of the most critical issues facing Europe and its respective Muslim populations is the widespread fear that the practice of Islam threatens its secular values. 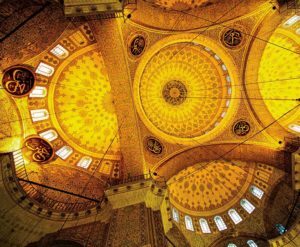 Under the long shadow of Christendom, the presence and growth of Islam evokes age-old questions related to religion, its role in civil society, and its impact on national identity. Much of the discourse, however, is driven by a media that privileges secular assumptions and voices over religious ones. Thus news headlines are dominated by alarmist predictions that the continent is quickly undergoing a conversion or a hostile takeover to what will be called “Eurabia.” That reality, it is argued, is further evidenced by the increased number of minarets dotting cities like Amsterdam and Geneva and by heated debates over the hijab in French schools. From a missiological perspective, however, lost in the mix of these debates is the resurgence of the Christian faith in large part due to non-Western immigration—Muslims are not the only religious group moving en masse to Europe; there is a large number of Christians as well. The result is a dynamic Christianity and a vibrant Islam, both of which are emerging side by side. Thus one might make the case that the European continent is not a graveyard for religion but rather that it is a laboratory for new forms of faith, and for the developments of new structures of organization and interaction that can accommodate religious involvement in a dominant secular environment. As a result, Europe is a kind of “theater of Christian and Muslim engagement”—one that has numerous implications for interfaith dialogue. In the featured article of the winter issue of this journal, Dr. Andrew Wingate describes the changing religious landscape in Western Europe, considers changes within the Christian and Muslim communities, and outlines important implications for Christian engagement in interfaith dialogue. 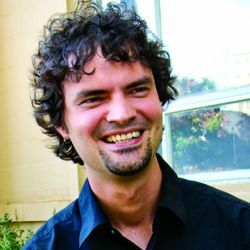 Matthew is a PhD student in the School of Intercultural Studies at Fuller Seminary and is a co-founder of Evangelical Interfaith Dialogue.